Sale! was an installation at The 100 Gallery, a tiny converted space in Old Norman Gym at the University of Florida. Because the space itself calls attention to the constructed nature of what a fine art gallery is, I sought to present a subversion of the fine art "sale". 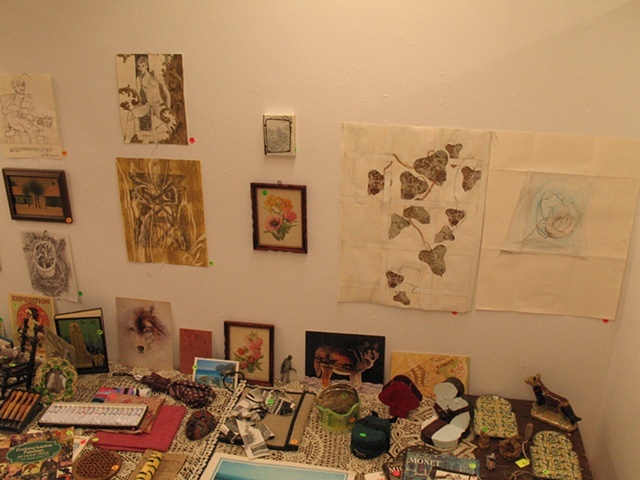 My sale consisted of over-crowded walls, low prices marked with flourescent stickers, junk, unwanted art supplies, works by other artists, and raw materials I had collected for my own creative work. Sale! attempts to challenge the arbitrary nature of commerce by causing viewers to question what makes objects "valuable".